Starting with TUDOR MINSTREL slogging up the WAVERLEY ROUTE, there follows CLAN MACKINTOSH tackling BEATTOCK in 1965. 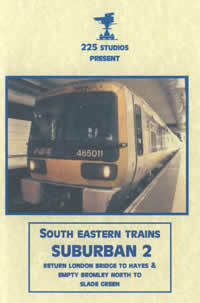 During the same period the EDINBURGH area features along with an Edinburgh Suburban rail tour in 1989 behind 5305. Back to 1965 and 44903 departs HAYMARKET before moving on to THORNTON JUNCTION with B1s, a J36 and J37s. ABERDEEN FERRYHILL is next visited with A4s, Black 5s, B1s and a WD. Diesel haulage takes us to FRASERBURGH, CAIRNIE JUNCTION and the CRAIGELLACHIE - AVIEMORE line all in 1965. DUNDEE TAY BRIDGE DEPOT and ALLOA both feature steam. 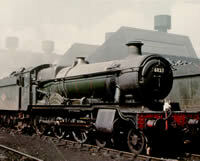 The GLASGOW SUBURBAN is covered with LMS and Standard Class 4 2-6-4Ts and a 2-6-0. 60004 is seen at BUCHANAN STREET before A4 haulage takes the train to STIRLING with Black 5 and A4 arrivals and departures. 73149 then works to PERTH for a visit to the depot and station. Diesel haulage then ensues for a run between DUNBLANE and OBAN with a short trip up the BALLACHULISH branch. Moving forward to October 2004, a series of special workings on the WEST HIGHLAND LINE are filmed with 44996, 62012 and 61264 in glorious autumn sunlight. Picking the best of the shots, all the locomotives are seen working hard at classic locations including the climb to COURROR SUMMIT culminating in a double headed run towards COUNTY MARCH SUMMIT with 44996 and 61264. Five scenes on the West Highland are seen with 5305 in not so perfect weather conditions before the closing shots of STRANRAER DEPOT and a Forth Bridge special with 60009. Covers the lines west of Salisbury. 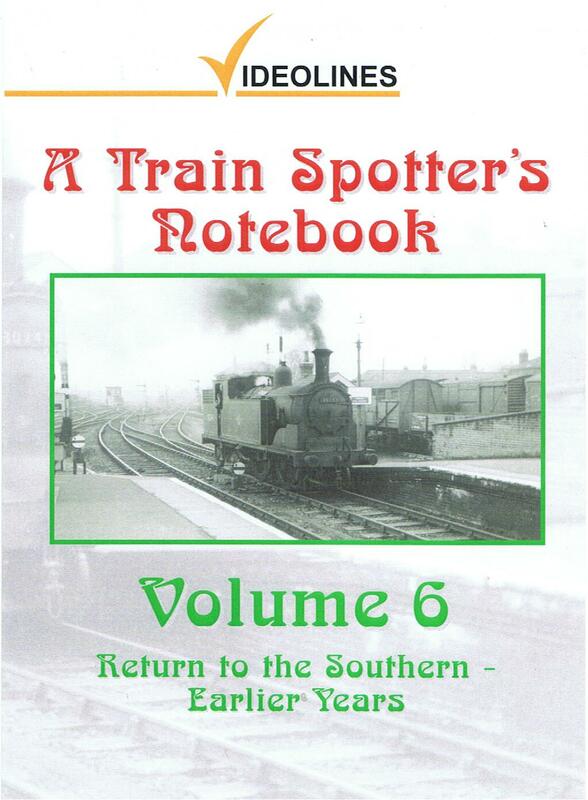 Starting at Nine Elms and Waterloo we depart behind OKEHAMPTON followed by short scenes at Woking and Basingstoke. We next depart Salisbury behind CREWKERNE on the Plymouth - Brighton service returning from Barnham where a 4 BUF and 4 COR depart. Salisbury sees Bullied Pacifics, Standards, WILLIAM SHAKESPEARE and BLUE PETER along with the snow of 1966. A Crompton paces our train out of Salisbury. Templecombe and the S & D reveals Ivatt tanks, various classes of Standards, Bullied Pacifics and 8Fs on normal duties and the 'final weekend' with specials at Cole and Blandford Forum. Bullied Pacifics, BLUE PETER, Warships and a North British Type 2 are seen in the Sherborne area. Yeovil Junction plays host to Pannier tanks, Ivatt and Standard Class 4 2-6-4Ts, Standard Class 5 4-6-0 and 4 2-6-0, N Class and all the variations of Bullied Pacifics. Crompton, Warship and Western diesels, a suburban and cross country DMU, KINGFISHER on a railtour and the turntable in use! are also covered. 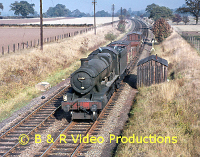 Steam through Yeovil Pen Mill is filmed on a railtour and banana specials from Weymouth. KINGFISHER is next seen at Exeter Central, Exmouth Junction and climbing out of Exeter St. Davids with a Hymek banking. 35023 heads out of St. Davids before the final section covers diesel traction in North Devon and North Cornwall with DMUs, B-B and A1A-A1A Warships, a North British Type 2 and an 0-6-0 diesel shunter on the Wenford china clay. This programme uses a variety of narration and captions. In colour. All scenes have digitally enhanced visuals and sound tracks applied as accurately as possible. Running time 1 hour and 6 minutes including a 14 minute preview of Volume 1 - Scotland. Waterloo to Weymouth via Woking, Guildford, Basingstoke, Soton Docks & Isle of Wight. Leaving Waterloo, steam near Esher on engineers trains first stop-off is Woking. Bullied Pacifics & Strd Classes are seen on all types of trains along with an N Class No 31408 on a van train. Guildford, in a snow storm. In shed & shed yard are representatives of Class N, Q1, a Bullied Pacific & the shed pilot, a U.S.A. Class plus the odd Strd. Boat train diverted off the Bournemouth line passes through station. Return to Woking a number of boat trains & service trains. On the footplate along the L.S.W.R. main line. Basingstoke witnesses the passage of Pacifics & Strd Classes. 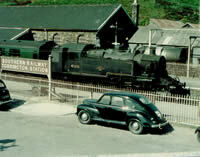 The latter are represented in the shed yard, plus a Black 5. Eastleigh: Many interesting locomotives & passenger & freight services, plus light engines to & from shed inc. steam coming to the rescue of a failed Class 47! A brief visit to the shed. Ocean Liner Terminal in Soton Docks sees arrival & departure of boat trains. Soton Ctrl: Pines Express departing via Portsmouth to Isle of Wight & a trip to Cowes & Ventnor. Millbrook, a stop-over is made at Brockenhurst to Lymington branch behind a Q1 & returning with a Strd tank before arrival at Bournemouth Central. Time at the station and shed. Branksome with main line workings & empty coaching stock & light engine movements to & from Bournemouth West. A Black 5 arrives on a 15 coach 08.30am Newcastle to Poole. Several movements are seen at Poole. Upwey & Broadwey on a Summer Saturday with double headers & bankers slogging up the climb towards Bincombe Tunnel with heavily laden holiday trains inc. Black 5s with through workings to the Midlands. Clun Castle appears on a special, plus a Black 5 & a West Country on a special that leads to the through working of this train to Weymouth Quay. The shed at Weymouth showing the variety of locomotives then available. 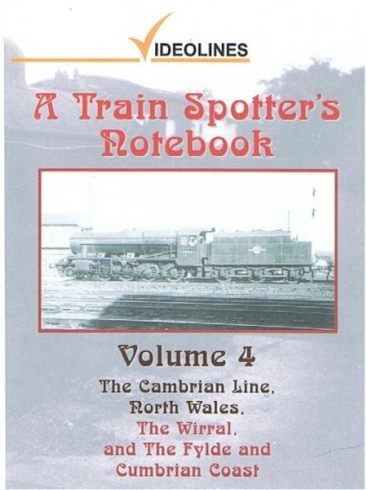 The Cambrian Line, North Wales, Wirral, Fylde and Cumbrian Coast. 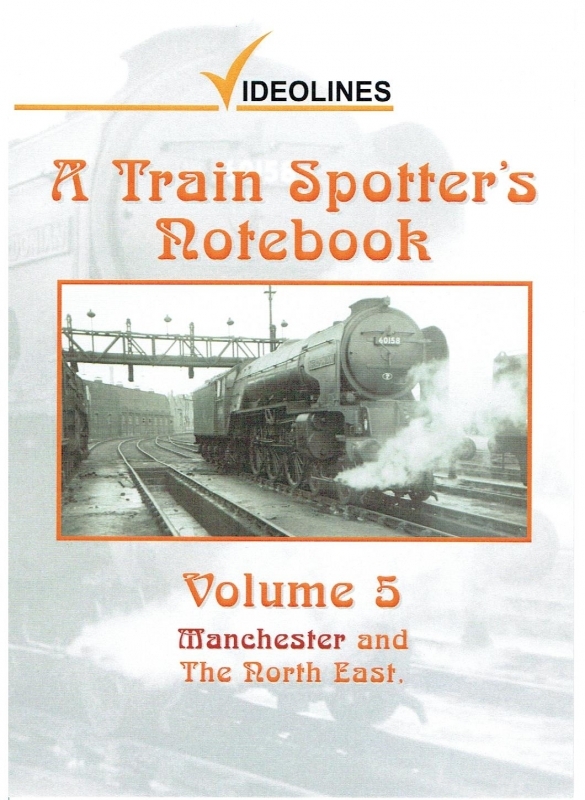 Having covered Scotland in Volume 1 and the Southern Region in Volumes 2, 3 and 6, (Volume 5 concentrates on Manchester and the North East), this programme covers the west side of the country. Locations and depots visited are Banbury, Saltley and the Cambrian line. This is seen on a Summer Saturday in 1966 with double headed Standards on holiday trains, a busy Machynlleth shed and station and a journey to Pwlleli double headed behind 75052 and 46251. The engines are then serviced at Pwlleli shed. Talerddig is tackled behind steam on the return journey. North Wales is covered with a visit to Holyhead depot followed by a journey to LLandudno Junction, Chester and Croes Newydd- where the last operational B.R. pannier Tanks are filmed. The Liverpool area sees the following locations and depots. Birkenhead, Edge Hill, Speke Junction, Bank Hall, Aintree and Heaton Mersey finishing at Stockport. The journey to Preston is behind a Black 5 out of Liverpool Exchange. An interval is spent at Preston observing everything from Big 8s to Britannias passing through. Its then steam to Blackpool and Poulton-Le-Fylde before a Black 5 takes our train, a diverted relief 'Royal Scot' via Lostock Hall over the Settle and Carlisle. A detour is made to visit Rose Grove shed and observe the Copy Pit banker. Carnforth bustles with steam hauled freights, so a session here, when all four platforms were in use is well spent. Two Jubilees head out on the Leeds line. The Cumbrian Coast could rival that of the WCML with regards it's interesting steam workings and this is shown with a visit to Barrow in Furness, Whitehaven and Workington. Its then up the main line to Carlisle but not before a stop-over at Tebay and Shap Summit to see those freights being banked northward. The final section returns the traveller down the WCML towards Crewe and Stoke-On-Trent, but the final leg is made behind steam from Preston to Manchester Victoria with a visit to Bolton shed. 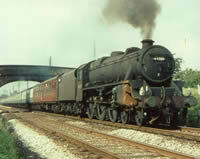 2-6-0s, Pannier Tanks, 4F, Jubilees, WD and Fairburn Class 4 2-6-4Ts among others. 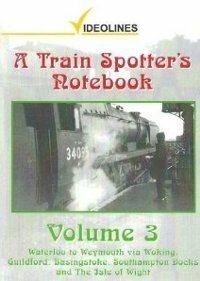 In this volume we travel the routes from Waterloo to Weymouth and Exeter Central featuring Classes N15, Schools, LN, U, N, A1X, M7, H, W, S15, Q1, 02, Bullied Pacifics and various other classes including Standards, Midland and Western Region locomotives on inter-regional workings. 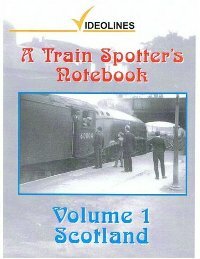 Locations visited include Waterloo, Nine Elms, Vauxhall, Wimbledon, Byfleet and New Haw, Woking, Bordon, Reading Southern, Redhill, Horsham and area, Eridge, Basingstoke, Worting Junction, Eastleigh, Southampton Central, Brockenhurst, Bournemouth Central, Worgret Junction, Wareham, Bincombe Tunnel, Salisbury, Templecombe and Exeter Central. Also featuring are the Hayling Island, Swanage, Lymington, Lyme Regis, and an LCGB special on the Seaton and Sidmouth branches. 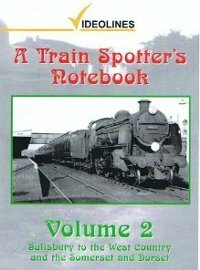 The Isle of Wight is revisited with locations and routes from Ryde Pierhead to Cowes and Ventnor - including freight, along with footplate footage aboard an 02.